Monday's conglomeration began with the Robert Talbott Best of Class necktie. The background is a black herringbone weave. The larger squares are gold but bordering on a copperish shade. That's what really sold me on the tie in the first place. The smallest squares are white. The mid-sized squares are light blue and the reason I chose a blue shirt. The sport coat is a silk/wool tic(?) weave I've had so long that I don't even remember where or when I got it. It's got several colors with black and tan the most prominent. This conglomeration is very similar to one from early May noted in a catchup post here. The necktie for Tuesday's conglomeration is a Paul Fredrick instead of a Roundtree and York. I also went with a Four-in-hand instead of a half-Windsor. I like the Paul Fredrick tie much better and its counterpart helped me simplify the fifth of July. To top it off, the navy sport coat, of course. 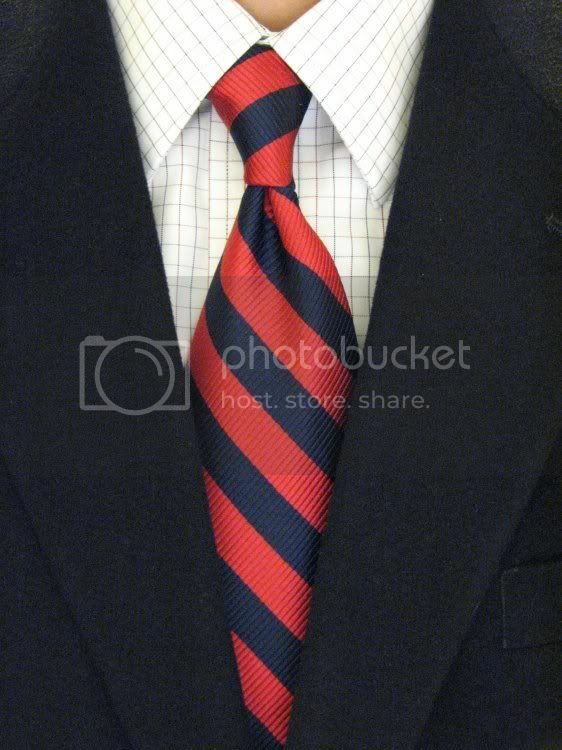 I'm still on the lookout for a navy/red/white striped necktie to try out with the navy/red windowpane dress shirt. 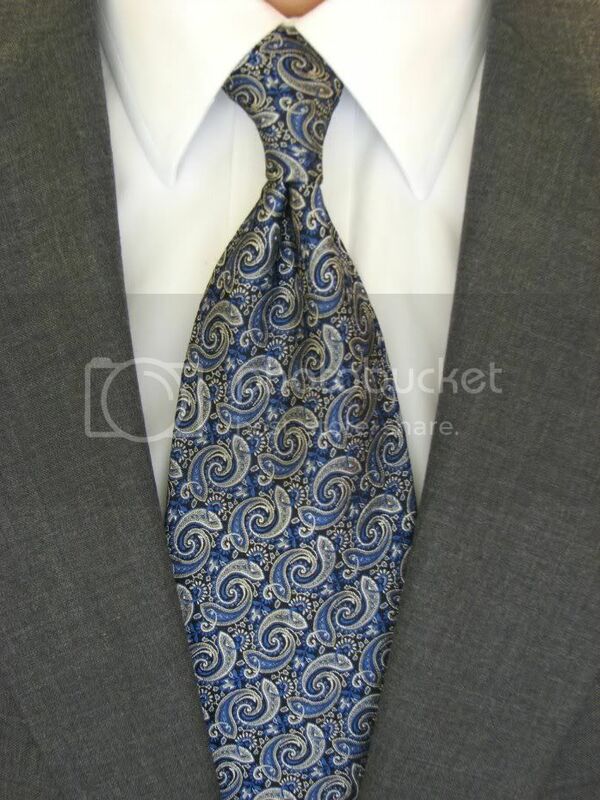 Paisley ties are fairly rare in my collection. This one is a Ferrell Reed City of London so that's its first step in the right direction. The second would be small, tightly grouped paisleys. It does not look like a paisley pattern from much of a distance at all. A white shirt and gray sport coat round out Wednesday's conglomeration. 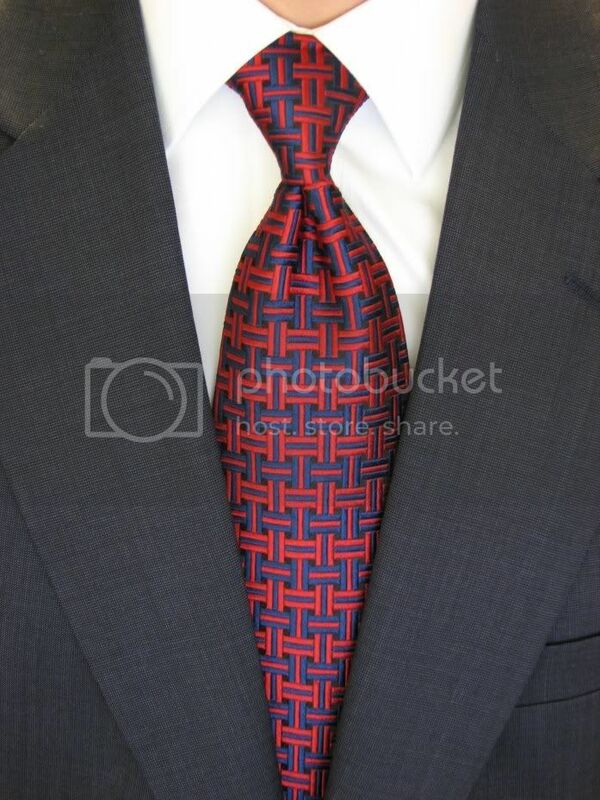 Friday's conglomeration began with the dotted Jos A Bank necktie. I really had no idea what I was going to do with it. I would like some sort of olive colored sport coat some day and that's what I would have chosen for this tie. Olive can be a difficult color to pull off. I did wear olive trousers with the tan sport coat and ecru dress shirt. Trousers are one thing and a jacket yet another. That's really the reason I'll never have an olive colored suit. The jacket will have to be just right. A sport coat means that I can conglomerate other things much easier than if it was a suit. Today's conglomeration actually began with the white Charles Tyrwhitt dress shirt. I can't really wear it to work so it's going to get a lot of church duty until it's not my favorite anymore. I suspect that will take quite some time. The blue suit was the second pick for the day because I hadn't worn it in a while. The necktie is a Ferrell Reed City of London. It's a navy/red in sort of a basket weave pattern. I tied it in a half-Windsor because it's an extra long tie. That's what happens when an Ebay seller doesn't mention all the details. I still like the tie just fine all the same. I matched up some navy/red silk knots to hold the French Cuffs together. I'm still getting the hang of those things. Did weekly post turn into monthly post? You repeatedly use the word "conglomerate" incorrectly. Try "incorporate" instead. I like the ties a lot! How long have you been collecting them? I never realized that necktie collection can turn into a hobby. 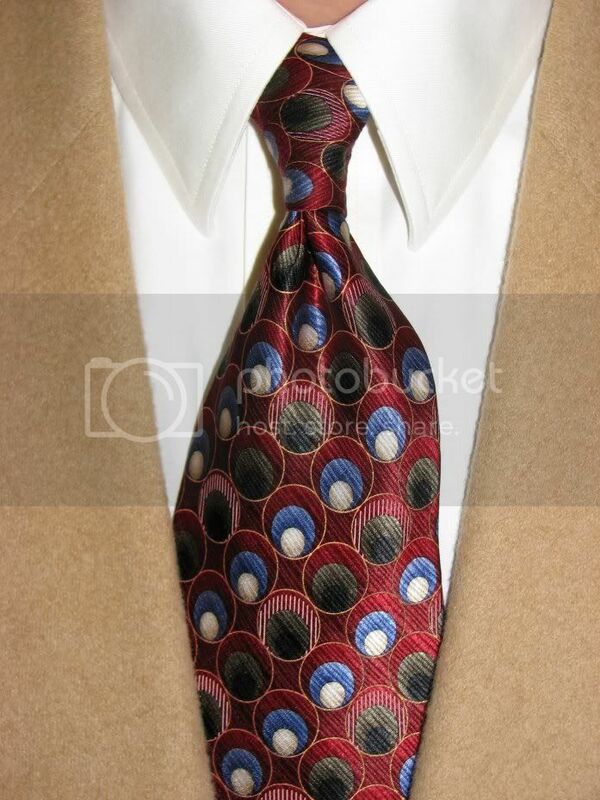 Thanks for sharing post & pictures.Find out exclusive range of mens ties,designer neckties. Love the ties and the suits! 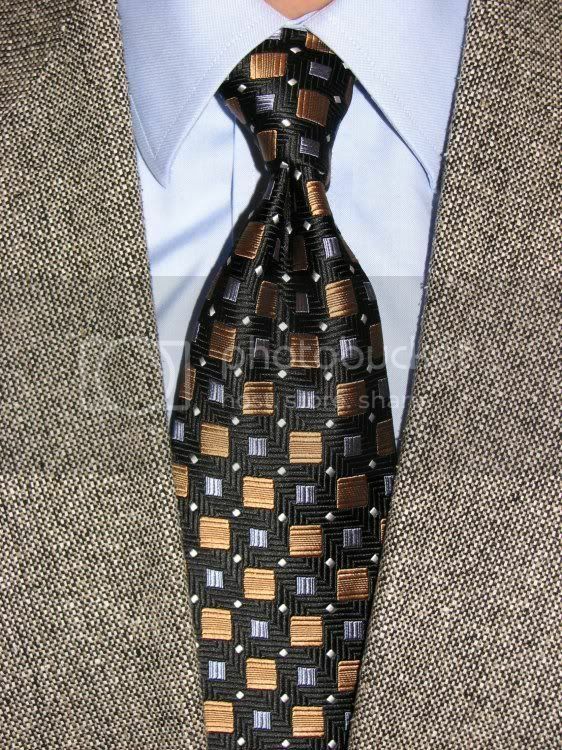 For some great textured ties that are really reasonably priced, check out www.wearjack.com. They're sweet. I love the red and blue tie. It reminds my of Andy from "The Office". I wonder how it would sell it at my tie store. Hmmm. which one of this would be my husband’s pick? I suppose… the polka dot retro style. I'm going to let him choose one for our silver anniversary. Thanks for this one! of course I keep the PDF booklet for myself only, I don't have any intentions with LULU. I wanted to inquire about one of the ties mentioned on your blog. Could you please contact me?